Liz… Five weeks post op….. This is week 5 post op from Dr. Chang– I will be going for re-measurement of my left leg this week and I was told that prior to going for re-measurement, I should make the leg be as small as possible, so that I can get the max amount of support from the new Elvarex for which they are measuring me. The therapist told me to make sure the night before going I use the flexi-touch, then put on the quilted night-time garment on and on top of the quilted garment, wrap the comprilan wrap around the quilted garment…..I should go to her the first thing the next morning while I still have the comprilan wrap on so that I get measured at my lowest possible measurement and in this way, give full support to those new lymph nodes which are growing…..Wow–I guess they know what they are talking about..I even passed that by Dr. Chang’s therapist, Betsy. These are two interesting articles from Toronto Physiotherapy written by Ryan Davey… Thanks for posting on LinkedIn so I was able to find them!! I am sure many would be interested in a medication that would help Lymphedema and also the research into why some experience weight gain with Lymphedema.. Always looking for articles that step into the future for Lymphedema and shine a light of hope on improvements to treatment. Ryan Davey earned a PhD in Biomaterials and Biomedical Engineering at the University of Toronto, where he specialized in stem cells and regenerative medicine. While not writing and working with Toronto Physiotherapy, Ryan consults in the field of biotechnology. Thanks to Toronto Physiotherapy for posting this information.. I saw this article via LinkedIn and it reminded me that Lymphoedema is not just something that happens to arms and legs, it can occur in any part of the body. This can be the result of secondary Lymphoedema or Primary Lymphoedema. For obvious reasons LE of the head, neck, abdomen, trunk and chest are much harder to treat. MLD becomes difficult and custom-made garments can have problems fitting correctly. When more than one area is affected people experience physical problems as well as a compromised Lymphatic system. There is little support or emphasis on LE for areas other than arms and legs, therefore it is great to see this article which is a patients guide to head and neck Lymphoedema. Thanks Ryan for allowing me to share this article.. Starting this blog I wanted it to be an honest account of living with lymphoedema and the process of going through surgery. When you live with Lymphoedema you just want it gone.. It takes over your life 24/7 … It is a constant battle to keep it under control and live a “normal” life. For this reason when there is an opportunity for a cure we grab it with both hands. A chance at life with no compression garments, no MLD every day, no bandaging, no infections, in fact a life free of Lymphoedema and the physical and mental anguish it brings. This is why we opt for surgery and the chance of a new life. We throw ourselves out into the darkness and hope for the best!! However what we find is that everyones results are different. Some fast, some slow and some very slow! We find there are hurdles along the way. We find that the emotional toll is more than what we expected. This is Sue’s latest update which I have shared in her own words, please send her your support and encouragement as she is struggling at this time. “I wanted to report to you on my doctor’s visit yesterday. This was with the lymphedema specialist; the surgeon I will see next Thursday. To put it mildly, I was very disappointed in my progress. My leg, according to the doctor, was the same or worse. There is a lot of pitting in the foot and the measurements have not decreased, despite a month of therapy and daily once or twice a day use of the compression pump. I do have to put some of the blame on my own shoulders, as I should have gone with the compression bandaging, as the doctor and my therapist recommended. But being that I work in a professional office, I thought it would be easier to wear the Reid Sleeve and take it off only to go to lunch. But this was not a good idea. So I am now in wraps all day with the exception of removing them to shower. It is not easy walking around in them, especially when I have to go food shopping, do laundry, clean the house, etc. But I have to bite the bullet and do my best. I am very discouraged as I am not seeing one bit of change in my leg. No knee cap, no bones in the feet, no ankle, the back of the foot is still puffy and unattractive as well. I wish I had good news to report. I do not know if my surgeon will order any testing for me. I know with the insurance denials he may be reluctant to send me for expensive testing. I hope he will at least listen through his stethescope to see if there is a pulse at the site of the transferred nodes. But I don’t know. I am doing my best to hang in there, but it is not easy right now. I do not regret getting the surgery as it at least offers some hope to some people, so I don’t have regrets about that choice. Thank you Sue for sharing with us this honest account of how you are feeling. I can relate to it totally… We have to remember the stories we see on the TV and in newspapers are only the success stories, that it is only recently the doctors are documenting their results. There is also far more experience with surgery for arms and it is therefore showing good results. However I still feel that that surgical intervention offers help for the future for both arms and legs. This includes liposuction, lymph node transfer and Lymphatic venous anastomoses. The progress maybe slow but we will get there eventually and by writing this blog people will have a better understanding, from a patients point of view. 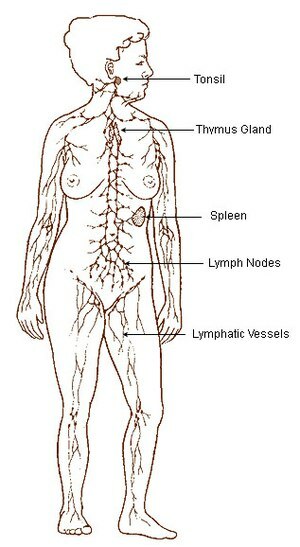 Primary lymphedema is a rare, inherited condition caused by problems with the development of lymph vessels in the body. Primary lymphedema occurs most frequently in women, it can be divided into three types. Milroy’s disease (congenital lymphedema). This is an inherited disorder that begins in infancy and causes the lymph nodes to form abnormally, leading to lymphedema. This is responsible for between 5-10% of cases. It affects multiple limbs and other areas. Meige’s disease (lymphedema praecox). This hereditary disorder often causes lymphedema in childhood or around puberty sometimes in the 20s. It causes lymph vessels to form without the valves that keep lymph fluid from flowing backwards, making it difficult for your body to properly drain the lymph fluid from the limbs. This accounts for 75-80% of cases and affects usually one leg and often just the foot, calf or ankle. Late-onset lymphedema (lymphedema tarda). This occurs rarely and usually begins after age 35. This late onset Lymphedema effects about 10% of cases. World wide there are millions of cases of Lymphedema but often they go untreated or undiagnosed. All types of primary lymphoedema have inadequate lymphatic drainage. The cause is not well understood, it is probably due to genetic faults or from abnormalities that occur in the development of the lymphatic system during gestation. This is Jessica’s story of living with Primary Lymphedema from a young age and the impact it has on her life. English is not Jessica’s first language so I have edited some but not all her words. “The year I turned Nineteen left an unforgettable mark on my life. My father died suddenly and I was taken by surprise, I was confronted with the strange path of fate and the unbearable feeling of the irreversible…Years later I would realise that in the same year I would again be confronted by something irreversible…. Primary Lymphedema. Some months after my father died, my friends tried to cheer me up and we went together on holiday. It was a hot summer, I had some insect bites also before my trip I was working in a restaurant, to earn money for the holiday. During that time I noticed that my feet were swollen….but off course nobody knew what it was and nobody took it seriously. Later I was diagnosed with primary lymphedema in both legs, at the time I was very frustrated with that diagnosis – although I did not really know the consequences then. I thought it was just horrible to have swollen feet during the summer… When I think of this now, it just sounds stupid… I would gladly to have that situation now!! Eight years went by and somehow I adapted quite well: in fact most of my friends never noticed. Twice a week I went to the physiotherapist for manual lymph drainage and during the summer I had to wear some kind of compression stockings but only occasionally. The only thing I could not do was wear high heels during summer… so hello flip flops! I spent my years quite care-free: going on long adventure trips, working long days in the restaurant to pay for university and my holidays! When I finished my degree I started working but on my way home one day I had an accident and I fell on my leg. It started to get swollen but I thought it was temporary and although I had a major infection I did not stay home from work. However as time passed I started to worry, doctors told me it would get better, but that due to my history of primary Lymphedema it would take more time. Six months of intense taping, bandaging, MLD and swimming, did not help it was still the same. I started to panic and visited lots of doctors and all they had for me was bad news, bad news and more bad news. That’s when I found out about the true burden of having primary Lymphedema ….. nobody knows anything about it…and you get the feeling you are the only person in the world with it. I had lots of testing done, and people were freaking out about it. Visibly I have no big signs (except for my one leg), but the tests showed I have huge problems in both legs… When you are lying there under the scanner praying to get good news once, but the doctors think the scanner is broken because there is nothing to see… then you know that you have troubles. Ohhhh! Thank you for the information! That makes me feel …. really desperate….!!! But to stay positive, because I will not give in to this situation. What exactly can I do about it to get it better? “You can do a lot of things, but it will not get better.” Oh! Basically do all the boring stuff and stay away from the fun stuff!!! I thought my life was over, I could never live with this new situation, but a year and a half later I managed to adapt somewhat to this new concept. The mind is strong and flexible and is the most intriguing thing I discovered the past year. What do I miss? What I miss the most is to be able to live care-free as I used too. I never thought I would miss getting out off my bed, seeing the sun and walking barefoot into my garden. I might find a solution one day – hopefully but things will never be the same just because I know what I know….But then again I am grateful that I got to live 19 years care-free, unlike some children who are born with this…I started to check the internet and I saw the most frightening stories and pictures… I did not know what to do. That is how I found out about the lymph node transfer … and I jumped on the other roller-coaster a search for a solution!! !” Jessica.. Thank you Jessica for sharing your story.. It is not easy to put into words the daily struggle to find a balance and still live a fulfilling life. Jessica has been in touch with Dr Corinne Becker in Paris and may have a Lymph node Transfer in the future, but it is not an easy decision. Today I am continuing the updates from Sue who has started regular Manual Lymph Drainage as the next stage of her treatment. She is using a ReidSleeve boot like the one above as opposed to the complex Bandaging as you can take it on and off as needed. These are created by Peninsula Medical and are available for legs, arms and hands. Please click on the link below for more information. The ReidSleeve (U.S.Patents 5,904,145 5,916,183 5,196,231) is made from a soft foam core. This is specially designed to provide a gentle gradient pressure. The pressure exerted on the limb (arm or leg) is controlled by a series of Velcro® straps. This design allows the compression to be precisely tailored to the patient’s needs. The sleeve easily slides over the affected limb and then the compression straps are adjusted. The outer shell is made of durable, attractive nylon, available in many colors. The inner lining is made of a blend of cotton and lycra to provide maximum comfort while maintaining effectiveness. Control of edema in the hand and wrist area is critical. The ReidSleeve incorporates conforming plastic plates to provide consistent, effective pressure to this critical area. The data from the original study demonstrates that the ReidSleeve is highly effective at controlling edema in this area. In a 4-week study, edema in the hands of affected patients was reduced by an average of 80%. A specially designed gauge (U.S. Patent 5,904,145) is used to assess the pressure exerted over any region of the limb. The gauge is as easy to use as a blood pressure cuff. This simple procedure insures that compression applied to the patient’s limb is consistently applied and in the proper range to provide optimal results. Patients can fit the sleeve in minutes without assistance and have the confidence of knowing they are applying the most effective pressure. As the patient improves the ReidSleeve can be adjusted to the new limb size thereby maintaining the proper pressure range. “I am with you as to this being an up and down emotional journey. I started MLD therapy last Monday (am going three times a week for a month at least). I wasn’t real happy when my therapist measured my leg and it was far worse than it had been when I started the second series of MLD treatment from 12/2011 through 4/2012. I am hoping that because she had not seen my leg right before the surgery, that this may not be as bad of news as I thought. I am wearing a Reid Sleeve for now, since it’s easier for me to wear this big compression “boot” from toes to hip than dealing with the foam compression and elastic bandaging. But if the swelling is not significantly better by this Monday, I am going to have to use those darn bandages. I personally see small changes in my leg, and I am just going to have to be patient. The surgeon said 6-8 months to see if it worked. If the surgery is successful, then he will do the liposuction to clear out the fat and protein that have settled in the leg, but again only if the surgery is successful. I have now returned to work and am glad that I did. Thirty days out of work is enough! I wear the big boot all day and just remove it when I have to go out to lunch or anywhere in public. I just don’t want the stares or questions. It looks like I have a broken leg. Who wants to go into details about lymphedema and now the surgery with strangers who have no idea how difficult living with lymphedema is! Also, I am back to using my pump daily at the instructions of the therapist. I seem to think it helps to use the pump along with the compression boot. When I stopped using it for a few days, I didn’t notice any increased swelling but no less swelling either. Yesterday when I saw the physio she felt there was improvement in the leg. She felt that the leg and the transplant were softer and looked better. The L-dex reading had gone down a little to 22 so a slight reduction in swelling. The Doctor has now allowed me to do what ever movement and exercise I can, or that I am capable of, which is not much! To this end I now have exercises to strengthen the leg and get the full range of movement back. Everyday it feels stronger but I am still very slow and walking with Ready Wraps on feels like you have weights strapped to the ankle! I Thought I would show you my latest leg wear as it is in exciting black instead of beige! I don’t know why compression garments are always beige, as it does not hide or disguise them, I can’t wait for one of those companies who do patterned sleeves (see below) to make some patterned leg wear too for Lymphoedema…. It’s there, we cannot hide it, so best make it a feature. These Ready Wraps are made of fabric similar to a wet suit and they Velcro around the leg. They come in four separate pieces, foot, calf, knee and thigh also a cotton stocking for underneath. Measurements are taken of the leg to ensure the right size pieces are ordered. One problem though is the stocking must be made for midgets,there is no way it goes to the top of my thigh, so I combine this with the tubular bandage I use for under complex bandaging. I pull the tubular bandage out the top of the wraps, so the thigh part does not rub, also round the ankle I leave some out to protect the ankle bones from rubbing. I will let you know how well these Ready wraps work, I notice that they do come adrift a bit as you walk and I have to redo them a couple of times during the day. I also found that they worked better with the knee piece on first but the instructions tell you to put this on last. I found that if I did it last they did not hold together well but I guess everyone is different. A friend found this site online that you can buy the ready Wraps called Lymphedema Products.. They are much cheaper than I paid in Australia and they have many other Lympedema supplies too..
“The story of LympheDIVAs began in Philadelphia when two young breast cancer survivors, Rachel Troxell and Robin Miller, developed lymphedema, a side effect of breast cancer treatment that can cause permanent swelling in the arms. Their physicians and lymphedema therapists recommended a compression sleeve as the most effective way of controlling the swelling. When they researched the options for the sleeve they found that the only ones available were rough textured, heavy, hot, beige, and bandage-like. Frustrated and dismayed over the lack of options they had for compression sleeves, Robin and Rachel met with Kristin Dudley, a fashion designer, to discuss their idea of creating a more elegant and comfortable compression sleeve.